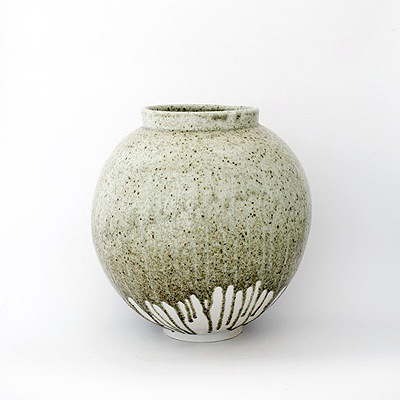 Readers of my posts know that I am a huge fan of English studio pottery and love to incorporate pieces into my projects. 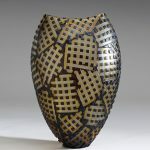 So when I recently came across the work of Welsh ceramicist Adam Buick, I knew I had to learn more about him and share his artwork with my fellow art devotees. Buick works from a studio located near the Welsh coast in Pembrokeshire. 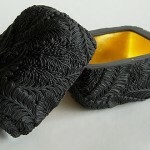 His website has an amazing array of videos and photographs that give a great sense of where he finds inspiration and the materials that he uses in his work. 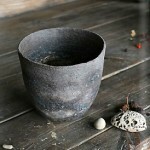 My favorite English studio pottery pieces are his jars. 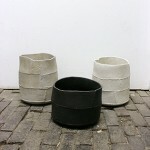 Buick uses clays and materials sourced locally which he integrates into his pieces. 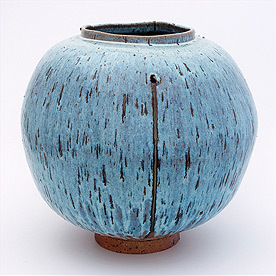 He captures the unpredictable nature of ceramics beautifully by allowing imperfections to become central to the finished jars. Incorporating stones and other materials gives each jar its own narrative telling us a little about where each piece came from. 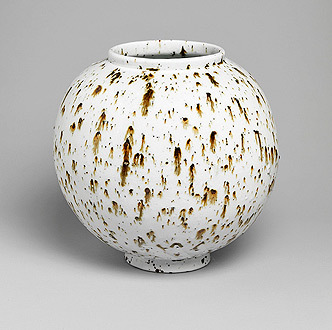 A variety of glazes and finishes mean that no two jars tell the same story. Some are what I would classify as sleek and polished while others have a much more earthy appearance. The largest are 48 cm. tall, while the smallest measure in at only 9 cm. Imagine half dozen of the small English studio pottery jars in a narrow recessed shelf in a bathroom. Sometimes small things can be the focus of an entire space. 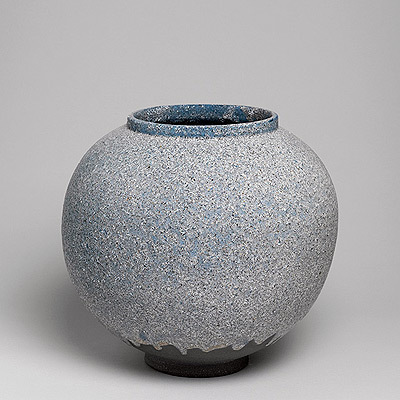 Adam Buick represents the present and future of English studio pottery. 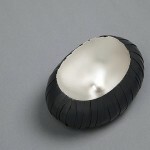 His unique pieces certainly nod to the past in form and technique of Korean “moon” jars, and yet they are very much about today’s connection with the planet and working with locally sourced materials. I look forward to seeing where Buick takes us next.